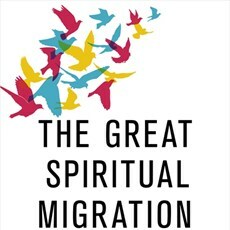 For Christmas I was given Brian McLaren's new book The Great Spiritual Migration: How the World's Largest Religion is Seeking a Better Way to Be Christian. I'm only 1/3 of the way through it but I'm enjoying the opportunity to read the efforts of a prominent "progressive Christian" (not a great term, I know) to articulate a "progressive" vision for Christianity in positive terms rather than simply defining themselves against conservative evangelicalism. This may be old hat for many, but McLaren makes an instructive parallel between Christian "method" and the scientific method. I'd like to summarise something of what McLaren says about this parallel, and then draw out some of the implications of what he says. McLaren's general theme is that Christianity needs to make a shift. Christians need to move from defining their faith in terms of assent to a set of particular beliefs (which no-one can quite agree on) to defining themselves in terms of practising the way of love demonstrated by the life, death and resurrection of Jesus. This is where the instructive parallel emerges. McLaren notes that scientists are deeply interested in facts and understanding those facts. They make use of observations about the world to develop theories and they test those theories in order to validate them. Similarly, Christians are interested in beliefs. They use sources of information (Scripture, reason, experience and tradition) to develop beliefs (or doctrines) that help them understand the world. There is a fair similarity between the function of scientific theory within science and the function of doctrine in Christian faith (more on this later). So far, so parallel. Where the parallel breaks down is the primary commitment of both groups. Scientists are deeply committed to facts. Their observations about the world are the lifeblood of their work. However, their ultimate commitment is not to a particular set of facts, or to particular scientific theories, but to the scientific method. A basic premise of the method is that no theory is final and conclusive. If the evidence is there, then established ways of thinking are discarded in favour of theories that better fit the facts. I recall a story related by Richard Dawkins of an eminent and elderly scientist attending a conference at which a younger colleague delivered a paper. This paper presented new evidence, and a new interpretation of established evidence, that thoroughly undermined the life's work of the older, senior scholar. As the applause died down all eyes were upon the old man. Slowly, he stood up and wiped a tear from his eye. He approached the young scientist with a steely look in his eye. As the old man reached the younger woman he held out his hand to her and shook her hand warmly as he said: "For all these years I have been wrong and you have put me right. Thank you." The standing ovation lasted for several minutes. The point here is that the prior commitment is to the method over the results. Results are important, but no result is beyond the probing of the method. By contrast, says McLaren, Christians tend to cling to cherished beliefs. The beliefs are the essence of the faith. Evidence to the contrary tends to be explained away or avoided (indeed, it is often regarded as a badge of honour to keep faith in spite of evidence to the contrary). His argument is that Christians need to prioritise the Christian method over any particular set of beliefs. By "method" I think he means the conscious wrestling with God and his purposes through the lenses of Scripture, reason, tradition and experience, all in the name of seeking to walk in the way of Jesus. Christianity is not a series of beliefs, but a way of life, a method for living fully in the light of God in Christ. Of course, a cursory skim through Christian history demonstrates that the Christian "method" has always been in operation. Teaching has developed and changed in the light of new experience or new understanding of Scripture. Christians have (largely) changed teaching about women, about slavery or about the nature of Jesus (certainly in the early church). However, McLaren's concern is that the method is not consciously applied in Christianity. While the scientific method is actively employed to grow and develop, the Christian "method" often seeks to deliberately hold back change. Perhaps we ought to be more conscious of being methodical Christians rather than doctrinal Christians. McLaren doesn't expand his analogy between scientific method and Christian "method" in any great detail but I'm going to try to fill in some gaps. Firstly, in case it needed saying, it's only an analogy and all analogies are flawed. Scientific and Christian "data" are very different beasts. It's important to go with the spirit of what McLaren is saying rather than the letter. Secondly, I don't think McLaren would therefore conclude that doctrines and beliefs are unimportant. Far from it. McLaren and other progressives would affirm the divinity of Christ and the centrality of his atoning sacrifice. Just as in science, the beliefs (or theories) we currently hold are crucial to how we interpret future data. Our doctrine shapes our worldview and we cannot and should not discard it lightly. Many doctrines are ones we can hold with confidence and it is good for us to do. Such doctrines are hard-won and argued-for. If you think current debates about sexuality are bitter then go back and look at Christological debates in the early church. 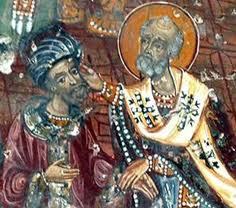 Saint Nicholas is even depicted as punching Arius in the face. (This event almost certainly never actually happened, but it gives a flavour of how hard-fought these controversies were). The point is that doctrine should never reach the status of untouchability. Finally, it is perhaps worth noting that scientists often go out of their way to seek out new data. Actively thinking about what might disprove a theory is encouraged. Do Christians follow suit? Do we make an effort to hear uncomfortable voices? I know I don't. If we're committed to wrestling with God then perhaps we should be committed to hearing voices from the margin; to hearing voices from the secular world. Some may consider this to be an accommodation to worldliness. I see it as dealing with the world as it actually is, not as our doctrine would like it to be. This doesn't just refer to "experience" of the world. We should also be committed to seeking out more data on how best to interpret scripture. I wonder what Christianity would look like if we were committed to its core method above its doctrinal formulations?